Amazon Web Services is calling up an age-old tactic of the tech industry — the hackathon — to drum up excitement and encourage the development of apps built on the Amazon Sumerian AR/VR platform. The company will hand out more than $100,000 in prizes as part of the Amazon Sumerian AR/VR Challenge. To compete, participants must build and publish their app with Amazon Sumerian and then submit a demo video, a completed entry form, and a URL for the app. Submissions are due by Jan. 8, 2019. Developers can submit their apps for consideration in four categories based on industry verticals, such as best brand engagement and retail. The winners will receive $5,000 cash matched with AWS credits, and prizes from contest sponsors, such as an HTC Vive headset and a one-year VRARA membership, as well as promotion of the winning submission in various outlets. Awards will also be handed out for the best apps, such as Best AR App, but those winners will receive scaled down rewards, such as $1,000 cash, $4,000 in AWS credits, 50% off a one-year VRARA membership, and an HTC Viveport gift card (with the exception of the Best VR App, which will substitute the gift card for a complete HTC Vive Pro system, valued at nearly $1,400). In addition, the first 100 eligible submissions will receive $250 in AWS credits just for being among the first to participate. A panel of nine judges consisting of Amazon employees, including NR30 member Kyle Roche, the general manager for Amazon Sumerian, and third-party industry experts, such as Bjorn Laurin, the assistant vice-president of HTC Vive and Viveport, will evaluate the entries. Judging criteria will cover applicability, impact, technical design and implementation, appropriate use of AWS, and the overall presentation of the submission. Hackathons have become a common catalyst in the tech world for stoking developer interest and innovation, and augmented reality is no exception. Last year, both Unity and Microsoft MVP James Ashley issued their own hackathon-style challenges to HoloLens developers to stir up activity on the platform. Similarly, earlier this year, Snapchat ran contests with its Lens Studio developer community as well. 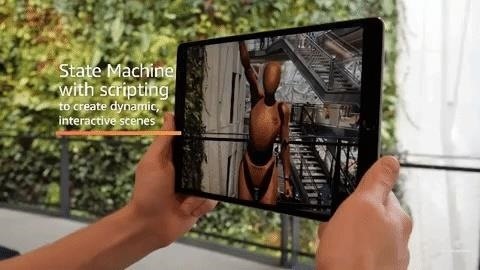 Amazon has billed its new Sumerian platform as an easy-to-use, web-based development tool requiring no prior programming knowledge, effectively promising a fast lane to developing AR and VR apps for those new to app development. The platform also supports ARKit and ARCore to facilitate mobile AR app publishing. 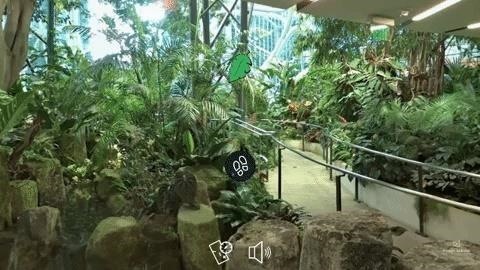 Nevertheless, just four months after its launch, a notable AR app built on Amazon Sumerian has yet to emerge, so a hackathon might be just the trick to uncovering some compelling use cases.